The order to create the Camel Corps came on 26th Oct 1884. 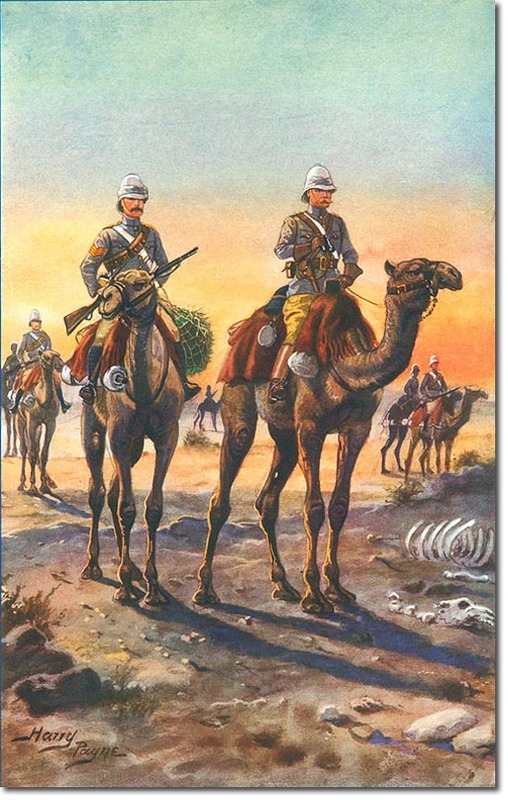 There were to be 4 regiments: The Heavy Camel Regiment, the Light Camel Regiment, the Guards Camel Regiment and the Mounted Infantry Camel Regiment. The illustration by Harry Payne is from Barrett's history of The 7th Queen's Own Hussars. The picture is entitled 'The Light Camel Corps 1884-1885' and shows a mounted officer and sergeant.